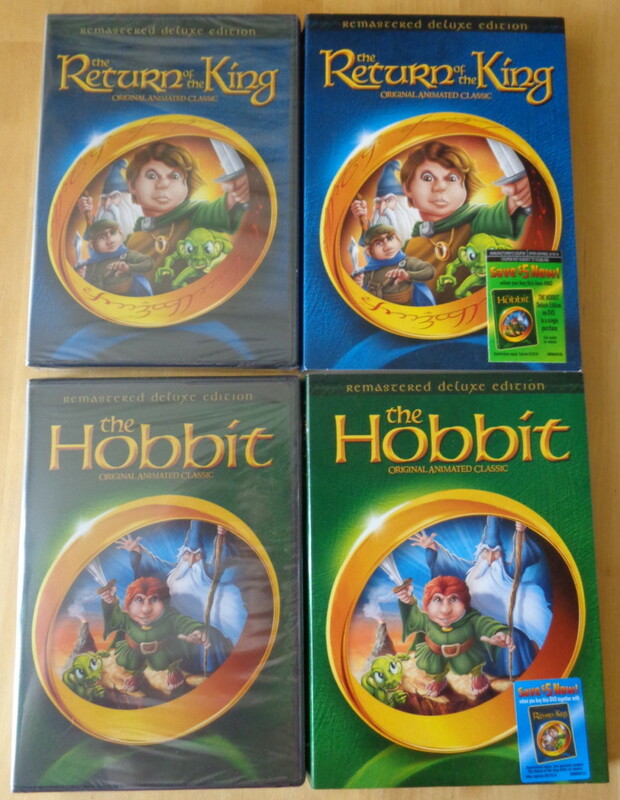 July 22, 2014 sees the release of digitally remastered versions of Rankin/Bass Productions’ animated television specials “The Hobbit” and “The Return of the King”. Time to reevaluate how films brought Tolkien’s worlds to life – decades before the Peter Jackson film trilogies and one week before the 60th anniversary of the publication of The Fellowship of the Ring by J.R.R. Tolkien. Let’s start – and sing! This is certainly one of the most obvious differences – there is a lot of singing and some of it has become so legendary fans all over the world might start joining you when singing “Where there’s a whip there is a way!” However, let’s not get ahead of ourselves. 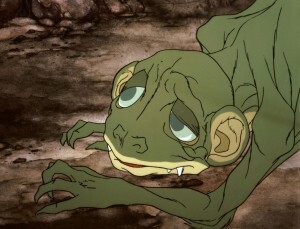 Gollum really is a frog-like creature! I do understand people get upset when the Great Goblin is able to eat a whole dwarf by simply opening his mouth (it isn’t always about size, you know! ), the trolls do have huge tusks and Gollum really is a frog-like creature – but that is all due to the animation style by studio Topcraft. Did you know ‘The Hobbit’ would bring us ‘The Last Unicorn’? The animation team behind “The Hobbit” was called ‘Topcraft’ and worked extensively with Rankin Bass Productions. They would go on to do “The Return of the King” and, yes, “The Last Unicorn” as well. Although the studio kept very busy for many years it went bankrupt in 1985 – only to be bought and renamed as “Studio Ghibli” of “Princess Mononoke” and “Howl’s Moving Castle” fame. Orcs? Are there any orcs here? Let’s sing! As much as it is a pleasure to see this film – including torch light Smaug (strangely reminiscent of the Jacksonian Red Eye) and Elrond, the runway-headband-light-wearing Elf – it was obviously meant to please an all-American audience with voice actors famous in the 50s and 60s with Hanna-Barbera and Disney productions (and not to forget, Rankin Bass were well-known for holiday-themed tv specials!) As such much of the original attraction is now lost to younger viewers but that doesn’t keep this film from being highly entertaining. I would recommend you to watch it because this is the first full-fledged film version of The Hobbit – and it is quite a pleasure! And no, it has nothing to do with the book. Three Bugs Bunny films. Knight-Mare Hare, a 1955 Merrie Melodies special; the 1958 Loones Tunes special Knighty Knight Bugs; the 1949 Merrie Melodies special Rabbit Hood. True to the story? The film does find the time to even include the scene where Bilbo is hanging from Dori’s ankles while being rescued by the eagles; and no, speaking eagles are no issue at all! Don’t expect the end to be like the book, though 😉 Pacifist Bilbo will come as a surprise! Scooby-Doo! Balin or the Lord of the Eagles remind you of Scooby-Doo? Correct, Don Messick, who voiced the lovely dog first, did a number of characters in this film. And yes, a number of voice actors from the Hanna-Barbera productions like The Flintstones worked on this film as well. Peabody Award The film won the Peabody Award in 1977. According to the Peabody Award database the film runs to 90 minutes (!) and it was entered with the Youth or Children (CYT) category. Hugo Awards The film was nominated in the Best Dramatic Presentation category with the Hugo Awards but lost to Star Wars. Will the Video Version of Tolkien Be Hobbit Forming? Article with the New York Times. TV Weekend: ‘The Hobbit’. Review with the New York Times. The Hobbit (1977). IMDB entry. 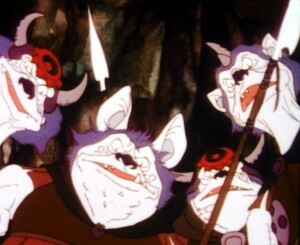 Are there two versions of the 1977 ‘Hobbit’ animated movie? Discussion follow-up with TheOneRing.net. I would like to thank Warner Bros. for providing me with two review copies of these films. They sure are a treasure 🙂 P.S. 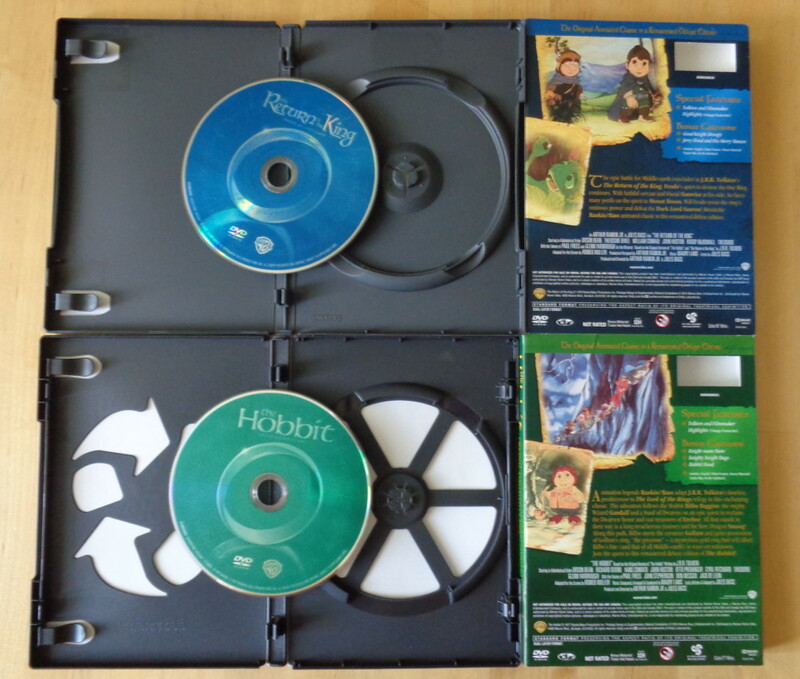 : Yes, I’ll have a look at ‘Return of the King’ as soon as possible.